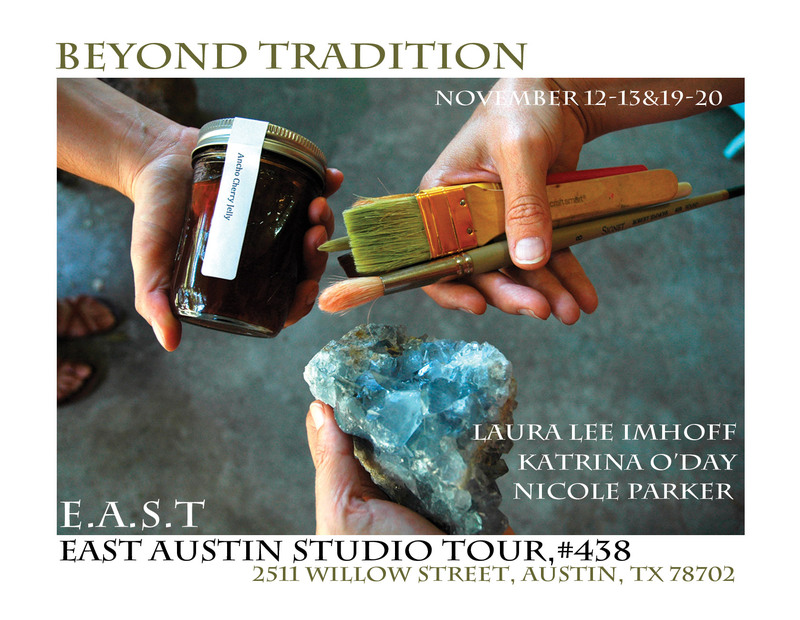 Last weekend was the start of the East Austin Studio Tour. Unfortunately, I was cuddled up with a box of tissues, tea, antibiotics, and an inhaler fighting off a case of bronchitis and walking pneumonia. Not ideal for showcasing my work, but I’m slowly on the mend and definitely looking forward to sharing all sorts of goodies this coming weekend. The weather is supposed to be gorgeous! I will be there with my dear friend, Kat O’Day, and Nicole Parker. I hope to see some of you out there!